On a pleasant October evening, three lawyers and a judge came together for a literary festival organised in the lap of Jim Corbett forest to share and discuss the art of judgment writing and highlight the intricate relationship law shares with literature. The occasion was Kumaon Literary Festival and the topic was ‘From legal literature to literature in law: Changing contours of judicial opinion’ during a session titled ‘My Lords, I Rest My Case!’ in the 2016 edition of the festival. 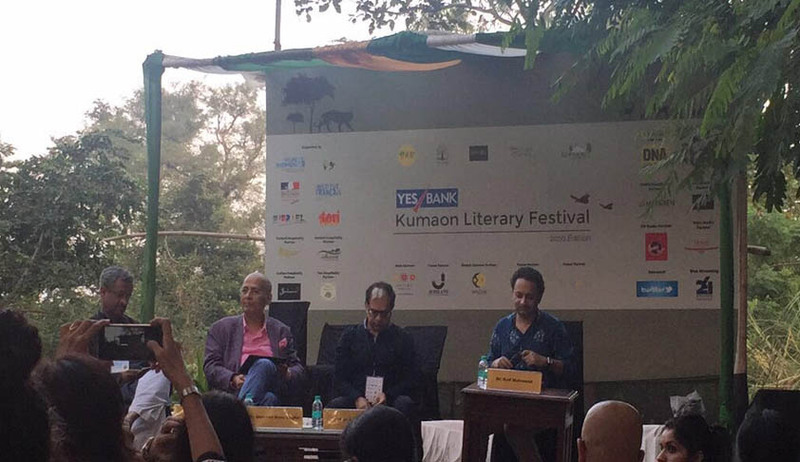 The beguiling session was organised on Wednesday at Jim’s Jungle Retreat in Ramnagar, and the speakers were Justice AK Sikri, Dr Abhishek Manu Singhvi, Sanjay Hegde and Dr Saif Mahmood. Legal literature has been a long and distinct literary genre. While deciding and writing on pure questions of law, judges have come out with several evocative pieces of literature in the form of their judgments. Similarly, in numerous cases, judges have taken the refuge of prose and poetry to convey crucial judicial points in clear, graceful and structural manner. An illustration can be seen in the fact that the principle of vicarious liability in India was laid down in a case decided by the Bombay High Court in 1924, based on the concluding line of John Milton’s famous sonnet On his Blindness, that say They also serve who only stand and wait. In 2011, while deciding on a perplexing matter of euthanasia (mercy killing), Justice Markandey Katju started his 141-page judgment by quoting 18-century poet Mirza Ghalib by saying, “Marte hain aarzoo mein marne ki, Maut aati hai par nahin aati (One dies longing for death/but death, despite being around, is elusive)” to convey the dilemma that surrounds the issue of mercy killing. “Imagery and poetry are welcome as long as these are vehicles of thought because eventually, it is interpretation that has to be the true objective,” said Dr Abhishek Manu Singhvi, a senior lawyer of the Supreme Court. Brimming with adjectives, the judgment is unfathomable to the lawyer and layman alike. The complex sentences of the judgment could have been written in small simple sentences to convey greater clarity. Judgment writing has been referred to as an art several times, as the objective of a well-structured judgment is to enhance clarity. Celebrated for his introductions while writing judgments, Lord Denning was known for writing with a style that composed of giving bold judgments through simple sentences with a dramatic arc. Picture Courtesy - Kumaon Literary Festival Facebook Page.